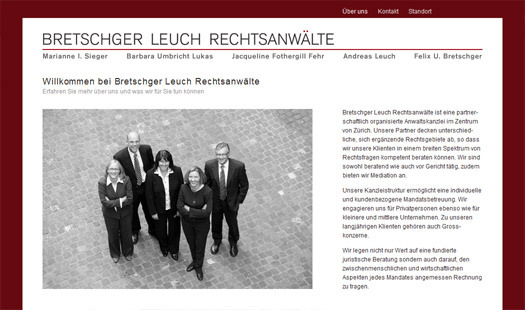 Bretschger Leuch Attorneys at Law is a newly formed law firm based in Zurich (Switzerland). The website content is be available in German and in English and the printed version uses a special, to the writing paper adapted, formatting. The logo type and business card were designed by Leila Hatt, Zurich.